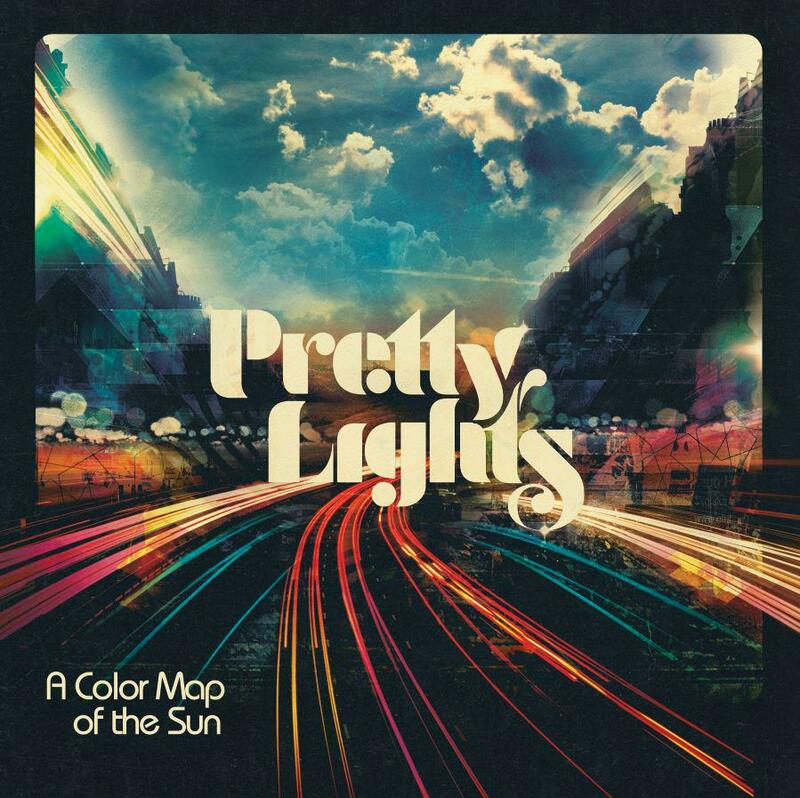 Derek Vincent Smith, otherwise known as Pretty Lights returns on the 2nd of July 2013 with A Color Map of the Sun, his first full length since 2009’s Passing By Behind Your Eyes. The first single Around the Block is already available as a free download from Pretty Lights’ website and is much in the trend of recent Pretty Lights tracks with glitchy electronic flourishes, deep bass and big beats; however it also returns to a slower more hip-hop focused sound with vocals from Talib Kweli. With regards to the album itself, there’s a myriad of options when it comes to pre-ordering ranging from $5 all the way up to $180. Have a look over on the Pretty Lights website for further information but expect T-shirts, signed CDs & Vinyl, PL branded USB drives and more. As with previous Pretty Lights releases the album will also be available as a free download from launch. A bold strategy but one that Smith is familiar with. It’s nice to see an artist releasing this way as fans can grab the physical releases and extras while new listeners can get a taste and will perhaps be more inclined to drop some cash on future releases. This is actually how I discovered Pretty Lights after downloading his back catalogue to check out his sound, and now he has a fan who has no problem with putting some money on his latest material. I thoroughly recommend doing the same. “This is the first time I am releasing an album as a physical product at the same time as a digital version. I have double disc CDs and full length vinyl records available with amazing hard cover book packaging that looks stunning and contains a 28 page photo booklet documenting much of the making of the album. The second disc of the double CD set contains 13 additional tracks straight off the vinyl acetates that I composed and created in order to make legit sounding samples for A Color Map of The Sun. Like always, the album will be available in its entirety as a free download on the album’s release date via prettylightsmusic.com. For the first time however, I encourage you to purchase a copy of the album. There are two honest reasons for this. The main reason is that as an artist I have always reinvested any success I have directly back into the music, the show and the art that goes along with it. Secondly, this isn’t just an album; it is a massive collection of music beyond what is on the CDs that I will continue to put out after the album release. There is an insightful documentary film on the making of this project to be released alongside the launch of the album, as well as a music video for every song. They are all beautiful and uniquely unusual pieces of art. This “album” is a multi-medium map of my mind and my self. It is personal and honest and I put everything into it. I have stayed on the path of being a completely independent musician and with the help of every supporter and friend, we have transformed a simple idea into a movement, a cultural beacon of light. If you can, I encourage you to purchase a digital or physical copy of A Color Map of the Sun. If not simply support by sharing the music and sharing the idea. If there is any success to be had from this album, it will go back into my rule bending, never ending quest to channel beauty and taste through music and art. For anyone interested in the making of A Color Map of the Sun, there’s also an interesting documentary on how it all came together. Check it out below. This entry was posted in Music, New Tracks, News, Video and tagged 2013, a color map of the sun, Album, around the block, beats, colorado, derek vincent smith, download, electronic, free, full-length, glitch, hip hop, july, new, pre-order, pretty lights, Record, talib kweli, vinyl by Sam. Bookmark the permalink.